Imagine two people are interviewing for a job. On paper, both candidates are very qualified. They both have degrees from prestigious schools, high GPAs, and a few years of relevant work experience. Going into the interview, both are well-prepared. They’ve practiced all the common interview questions, dressed for success, and are ready to throw down. After speaking to both of them, however, the interviewer’s decision isn’t even a hard one. One candidate clearly outshone the other – hiring them was a no-brainer. How can this be? Simple. One candidate used the interview to demonstrate their soft skills. The other had never even heard that term. Many students think that getting a job is all about qualifications and technical skills. Those don’t hurt (indeed, they’re essential), but things like how well you work in a team, how well you communicate, and how well you understand other people’s emotions are just as important. The things I just listed are all soft skills. They’re harder to quantify than hard skills like programming, writing, or accounting, and they’re also more difficult to learn formally. If you’ve ever taken a business class or read a business publication, you’ve probably heard these two terms thrown around. Understanding and cultivating both are essential to succeeding not just in school and work, but in life. Today’s post will clear up the ambiguity surrounding hard and soft skills. We’ll cover what they are, which ones employers value (hint: it depends on the job), and how you can cultivate both of them (especially soft skills). Even the names are confusing. “Hard” skills aren’t “harder” to learn than soft skills, and soft skills aren’t easier or less important. I prefer to think of “hard” as in “hard data,” something easy to quantify with objective measures. If an employer wants to assess your programming skills, they can easily give you a test. Language fluency? Easily testable. Ability to make pivot tables in Excel? Either you can or you can’t. Soft skills, on the other hand, are much harder to measure objectively. Tests of things like emotional intelligence exist, but they’re much easier to assess in subjective ways like having a conversation with the person. In the same way, it’s unlikely that someone will have a certification of their ability to work well in teams, and no one can be sure how you work under pressure until they put you there. Because hard skills are so much easier to assess and standardize, they’re what the majority of formal education focuses on. Just think back to elementary school. You had classes in reading, math, language, and maybe a little art. 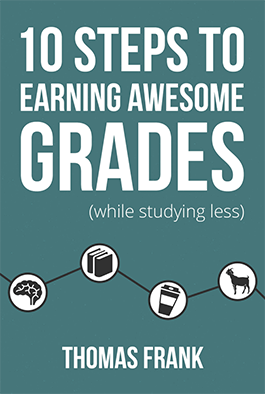 All of these are pretty easy to assess with standardized metrics such as test and grades. Now think of how many classes you had that were about communicating effectively and being aware of other people’s feelings. Unless you went to an extremely progressive or unconventional school, it’s unlikely you spent much time on this. Industrial economies demand quantifiable, standardized skills. So it made sense back in the day to build an education system that trains people accordingly. But we no longer live in the Industrial Era. Ours is now a knowledge economy. Few of us work in factories where our job never varies and we never have to speak more than a few words. Instead, the modern workplace is all about dealing with other people. It’s an environment of negotiating, compromising, and communicating. You still need a certain basis of hard skills (though as we’ll see in a moment the amount depends on the job), but soft skills are what matter for getting anything done. Furthermore, with the advent of the knowledge economy hard skills are constantly shifting and becoming obsolete. In the way that the Industrial Revolution made many manual labor tasks obsolete, the Knowledge Revolution is automating technical tasks like accounting, computation, and even some writing tasks. Consequently, many of the hard skills you do learn in school quickly become irrelevant. Unfortunately, the education system hasn’t caught up with this reality. Things tick along much as they did 100 years ago. What are you to do? Don’t despair. Your education isn’t worthless. Your hard skills aren’t completely useless. You just need to figure out a way to cultivate soft skills outside of the classroom. Luckily, as it turns out, college provides many opportunities to do so. You just have to know where to look. Of course, before you can seek out opportunities to develop your soft skills, you need to know what the skills are. To help us out, I’d like to share a list put together by Marisa Morby, a Human Resources expert. In her article The Underrated Skills That Will Make You a Better Employee (and Human Being), Marisa breaks down soft skills into two categories: internal and external. This is a pretty extensive list, but you’re bound to use most of these at some point, even if it’s outside of work. Indeed, these are really all skills that matter for leading a fulfilled life. I don’t want to say that you’ll never learn soft skills in the classroom. If you’re required to do a group project, then that’s an opportunity to practice collaborative teamwork, managing conflict, negotiation, and effective communication (not to mention expectation management…). There are even classes in soft skills like public speaking or management. But the best opportunities to hone your soft skills are outside the classroom. It’s ridiculous how many possibilities college presents for this. I’ve never been an RA myself, but from talking to friends who have been, this job might be the ultimate soft skills crash course. Resolving fights between roommates will teach you external soft skills like managing conflict, negotiation, and interpersonal skills. Talking to your residents regularly will improve your listening abilities and emotional awareness. Receiving evaluations from your boss and residents will teach you to accept criticism. Getting up at 3 am to let in someone who’s drunk and locked out will bring your resilience and emotional management to a whole new level. This job’s not for everyone, but the personal development potential for it is huge. Not to mention the free housing and other perks. Want to get better at talking to strangers and answering tough questions on the spot? Tour guide is the perfect job. You’ll have to deal with everything from weird work hours to bored students to over-excited helicopter parents. Not to mention that all the information you learn about your college could translate into a full-time career. This is one I have quite a bit of experience with. And let me tell you, it’s all about soft skills. At first, this may seem strange, since isn’t the TA’s job to help students with the “hard” material in class? This is true, but that’s really just the job on paper. It’s just as much about calming down freaked out students about the impending test. Or trying to inspire an unmotivated student to do better. And it teaches you a lot about how to communicate the professor’s at times inscrutable lectures into something students can actually understand. I hardly need to explain all the soft skills you can learn from this. You’ll have to manage conflicts between members, negotiate sensitive topics such as budgets, and negotiate to allow the school administration to let you have events. Your own self-confidence will increase, and you’ll have no shortage of opportunities to accept criticism with grace. Your college has likely has whole clubs and organizations devoted to developing certain soft skills. Whether it’s a speech club, mock trial, a networking group, or even just an intramural sport, these groups let you grow your soft skills while also making new friends and having fun. Win-win-win. Especially if it’s a job where you have to interact with people regularly. Since I’ve been in college, I’ve worked everywhere from the campus post office to the English department office. These jobs were (and continue to be) one of my biggest sources for mastering soft skills. Retrieving packages for a dozen impatient students at once has taught me to be calm in stressful situations, and working as a professor’s assistant has taught me how to translate current technical information into terms that someone who remember’s JFK’s inauguration can understand. As a bonus, these jobs are great for picking up key hard skills as well. This one is tricky. At first it can seem like freelancing is all about hard skills. While it’s true that you do need hard skills to provide a basis for your freelance business, much of the job is actually about soft skills. Convincing someone to hire you instead of the dozens of other qualified applicants? That’s all self-promotion and effective communication. Getting a client to pay you a competitive rate? It all comes down to negotiation. Figuring out how to make a picky client happy? Critical thinking, perceptiveness, and adaptability. Finding good work to begin with? Networking and influence. While on the face of it it seems like entrepreneurship is only about having an innovative idea, that’s not even half of it. The people who get the resources to execute their great ideas are the ones who are skilled at promoting their business and convincing other people to give them money to make it a reality, whether that be customers or investors. Entrepreneurship teaches you to work with other people, deal with huge amounts of stress and pressure, and accept tons of criticism and failure. Your project doesn’t have to be the next Facebook for it to be the biggest learning experience of your life. And as a tie-in with #4 and #6, your college probably has a club for this as well. As you can now see, college may be one of the best times in your life to develop your soft skills in a no-pressure environment. Just pick a couple of the ideas above (or come up with your own) and get to work on it! But while discussing the skills in the abstract is fun, I’m sure you’d like to know how they translate into “real jobs.” So next I’ll explore which skills employers value, and how it often depends on the job you plan to do. According to a 2014 survey conducted for Career Builder, 77% of employers believe that soft and hard skills are equally important. So no matter what career you think you might go into, maintaining a healthy balance of both is the best approach. That being said, some types of jobs tend to favor one type of skill over the other. Here’s a brief overview of the different types. Jobs that require you to work mostly in isolation on technical problems tend to require more hard skills than soft. This class of job is knowledge work at its most extreme, where you’re paid more to think and create than to communicate. While it’s always valuable to have some soft skills, these are careers that rely mostly on technical knowledge. Take plumbing, for example. While it’s always nice to have a plumber that’s amicable and can explain what’s wrong with your toilet, all you really care about in the end is whether or not they can fix it. No amount of soft skills such as communication or negotiation will make up for a lack of essential technical skill. On the other end of the spectrum, there are jobs where soft skills are nearly all that matter. No less challenging or important than hard skill jobs, these are areas where a lack of technical skill is unimportant – indeed, a surfeit of it could even be a crutch, as it may cause you to overthink things where trusting your gut is best. Once again, I’m not saying that these jobs require zero hard skills, or that certain knowledge of certain hard skills isn’t a great way to distinguish yourself in these areas. The point is that soft skills are the key to success in these jobs. A good car salesperson doesn’t move inventory by understanding every detail of how the vehicle works. They use a complex mix of persuasion and negotiation to convince people to buy. How much they know about internal combustion engines is irrelevant. When it comes to most jobs that you’ll be trying to get fresh out of college, a mix of soft and hard skills is what will truly matter. Indeed, it’s one of the best ways to set yourself apart from other job applicants who tend to be weak in one area. Especially if you’re applying for a technically-oriented job, having superb soft skills can really help you stand out during the application and hiring process. Your technical knowledge is much more helpful if you can communicate it well to others. And really, this isn’t just a job thing. This is a life thing. You can’t get through life with just book knowledge and technical skill. The real world is messy. The real world is dealing with people who aren’t rational and just need some kindness or encouragement. The real world is factional and irritable and requires compromise. For most of us, it’s much more important to be able to comfort someone in distress than to master the latest business app. There’s a life beyond work, after all. Since both types of skills are important (and time is limited), I recommend that you focus on improving the type of skill that’s less natural for you. For me, this is the area of soft skills. As a freelance writer and editor, my business success very much depends on soft skills such as persuasion and networking. There are thousands of talented writers out there, but the ones who succeed are those that can convince clients to hire them. For this reason, I’ve spent lots of time learning about how to craft pitches and how to communicate well with clients. I know that I’ll always work on the “technical” stuff like the writing itself without trying, so I don’t spend as much time studying that. That being said, it’s easy to push this idea too far. You shouldn’t work to correct every area in which you’re less than perfect. This can end up being a huge waste of time. Instead, you should identify the specific skills that matter to your field and work to perfect those above all others. Before we wrap up, I thought it would be worth mentioning how an interviewer might attempt to assess your soft skills. Obviously, the whole interview is a test of soft skills such as communication, but sometimes prospective employers will try to get a bit more specific. As you can imagine, the answers to these questions reveal a lot about a person. Like many interview questions, they’re tricky in that they force you to acknowledge your shortcomings while still portraying yourself in a positive light. There’s a danger of coming across as an egomaniac if you answer either incorrectly. To answer such questions well, I (and the original article) suggest that you put the focus on what you learned from the experience. This is especially true for the second question. You need to express that you understand asking for help is a sign of strength instead of an admission of weakness, and that as terrible as college group projects can be, they are valuable preparation for the kind of group work that’s part of most jobs. Neither soft nor hard skills are going away. Both are essential to success in school, your job, and life. I hope this article has left you with an appreciation for both types, as well as some ideas for how to develop them. 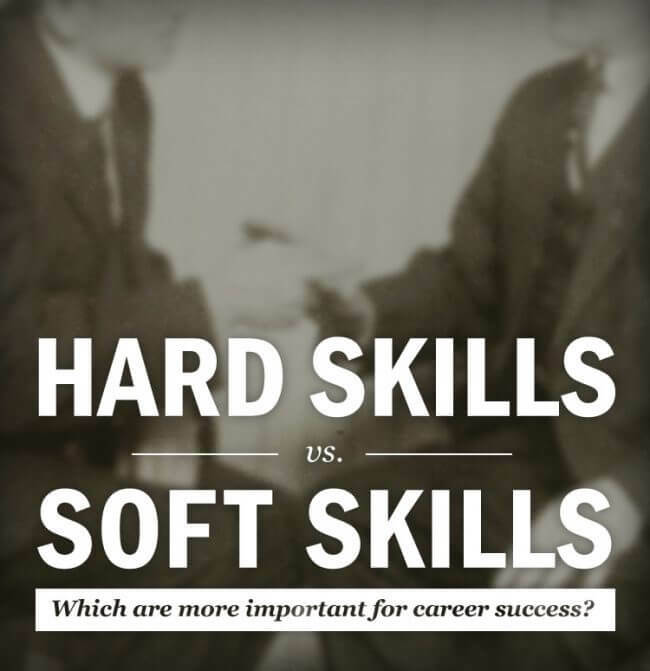 What questions do you have about hard and soft skills? Have you ever experienced a time when one mattered more than the other? We’d love to hear what you have to say in the comments section below or in the CIG community. *If you’re hunting for a job, I highly encourage taking a look at The Muse. It’s by far the best job hunting site I’ve found, mostly because they make you feel like they actually care about helping you find not just any job, but a job that’s a great match for both you and your prospective employer.